To accelerate scientific progress in this emerging field and to minimize disciplinary barriers, AR3T has assembled a multi-institutional network of laboratories that are conducting state-of-the-art research in the domains of stem cell biology, biomarkers, tissue plasticity and regeneration, and regenerative medicine therapeutics. 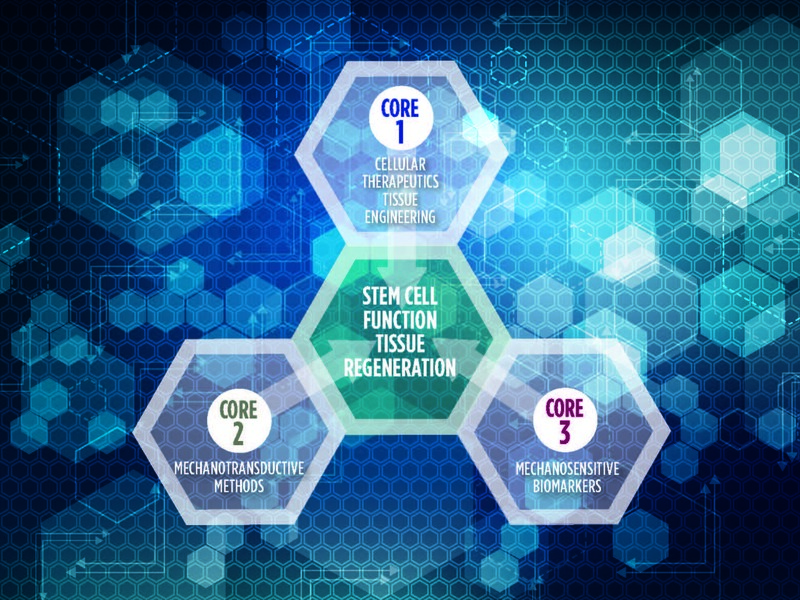 This network offers a broad range of consultative services and sabbatical opportunities intended to enrich the research capacity of the Regenerative Rehabilitation community across three Core areas: Cellular Therapeutics/Tissue Engineering, Mechanotransductive Methods, and Rehabilitation & Mechanosensitive Biomarkers. Learn more about the individual Cores and researchers here. Visit the menu items for more information about researchers in specific areas.